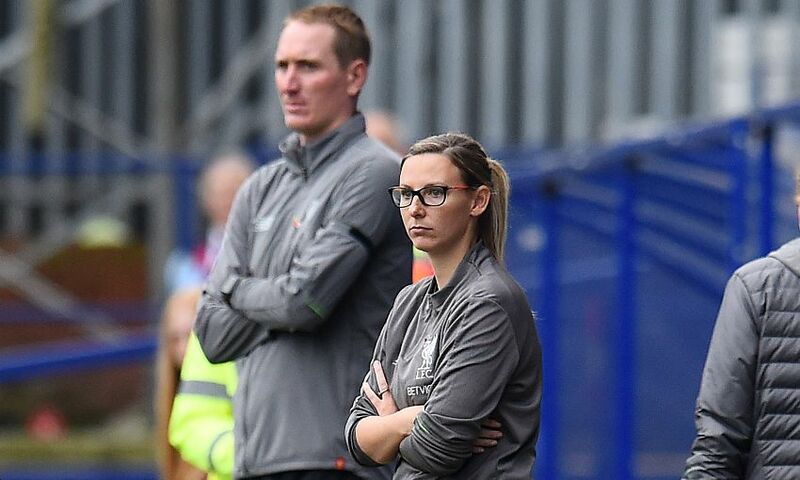 Liverpool FC Women were narrowly beaten 2-1 by Bristol City Women in their Women's Super League clash on Saturday afternoon. Quickfire goals from Lucy Graham and Ella Rutherford gave the home side an advantage at Stoke Gifford Stadium that the Reds could only halve through Courtney Sweetman-Kirk. Rutherford had already threatened a breakthrough on 12 minutes when she neatly chested down a cross into the box, turned and struck towards goal – but Satara Murray recovered to block the drive. Bristol did net four minutes later, though. Graham got free to reach a delivery from the left before anybody else in the Liverpool box and thundered home an unstoppable header at the back post. As Vicky Jepson’s Reds came to terms with their concession, City compounded the setback by claiming a second goal within five minutes. Julie Biesmans’ diagonal effort from the right edge of the area was fumbled out by Liverpool goalkeeper Anke Preuss and Rutherford pounced to convert the rebound. The visitors rallied commendably, first stemming the tide and then changing the complexion of the game nine minutes before half-time. Laura Coombs’ cross from the right flank bounced untouched to the back post, where Sweetman-Kirk kept her composure to knock the loose ball into an open net. A more even second half ensued, Rosella Ayane sending a lobbed shot inches wide from 20 yards at one end before Poppy Pattinson cleared away from the goalline when a Reds corner caused a scramble at the other. Leandra Little flicked a header off target and Coombs had a decent long-range punt palmed out as Jepson’s charges increased the pressure but their best chance came with 84 on the clock. Sweetman-Kirk expertly collected Rinsola Babajide’s low cross with her back to goal and rolled a defender to allow a close-range strike – but Sophie Baggaley reacted instantly to block and the points were Bristol’s. Liverpool FC Women: Preuss, S. Murray, Bradley-Auckland, Little, Roberts, Fahey (Daniels, 77), Coombs, C. Murray (Rodgers, 66), Babajide, Sweetman-Kirk, Linnett (Clarke, 53).